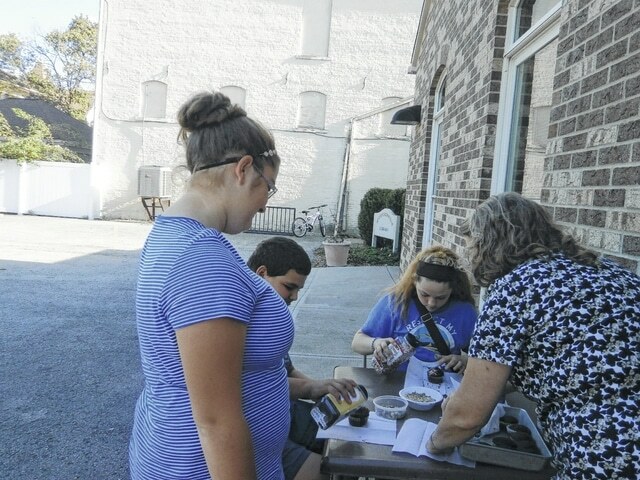 Jeffersonville Branch Library was the place to celebrate National Chocolate Day with Miss Susan’s chocolate cupcakes. Dezirae, Nate, Layia and Miss Susan were among the several participants in her popular program. https://www.recordherald.com/wp-content/uploads/sites/27/2016/10/web1_cupcake-program-with-miss-susan.jpgJeffersonville Branch Library was the place to celebrate National Chocolate Day with Miss Susan’s chocolate cupcakes. Dezirae, Nate, Layia and Miss Susan were among the several participants in her popular program.